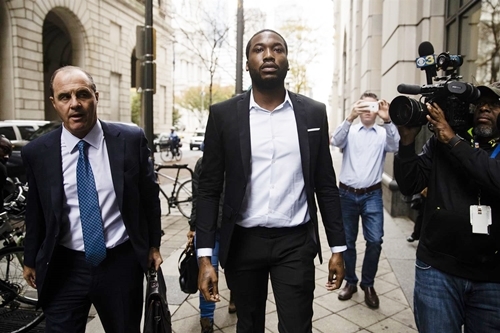 Popular American rapper Meek Mill has been sentenced to serve four years in prison for violating his probation. Judge, Genece E Brinkley cited a failed drug test and unapproved travel, stemming from a 2008 gun and drug case. The judge said the rapper was given multiple chances but he failed to comply. Meek mill whose e real name is Robert Rihmeek Williams is reported to have tested positive for narcotics numerous times. The sentence was unexpected as prosecutors recommended Mill not be imprisoned for the probation violations, mentioning he’s been drug-free since January and has complied with most requirements of probation. Meanwhile, Mill’s lawyer, Brian McMonagle, has vowed to appeal the sentencing.